The iPad is currently one of the most popular platforms of entertainment favored by both kids and adults. 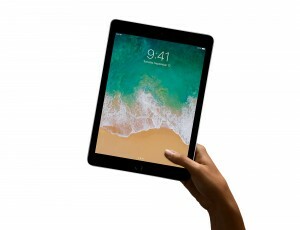 However, apart from its function as a platform for amusement, Apple’s famed tablet is now also being used as a tool for education at home. 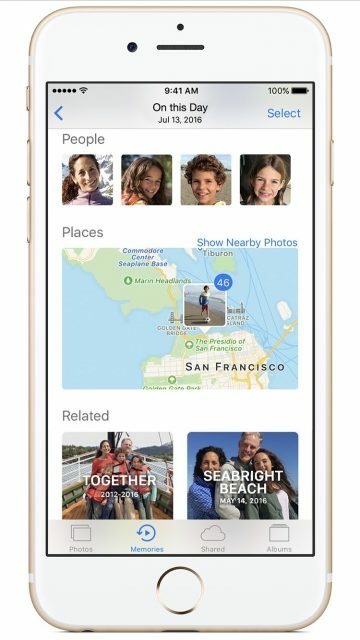 There are literally hundreds of apps today that specifically target homeschooled boys and girls. Learning site Te@chthought has listed 40 iPad apps for homeschooled students, which are perfect for kids aged 4 and up. The problem with most tablet stands is that they only allow the device to rest either in portrait or landscape mode. This is where the  Twelve South Compass Mobile Stand  comes in, allowing you to view the tablet in any orientation you want. Homeschooling shouldn’t reflect traditional schools where learning is mostly done on a desk. Rather, homeschooling should adjust depending on the situation and the Twelve South Compass Mobile Stand is perfect for that. 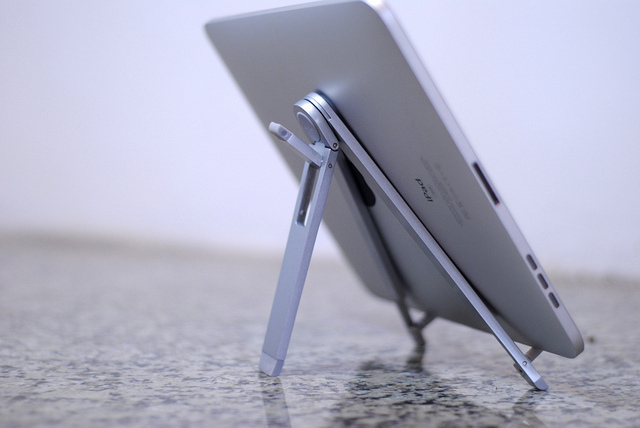 The beauty about this stand is that it is easy to set-up: all you need to do is fold out its legs and the two iPad supports. If you want to switch into typing mode, just fold out the secondary leg at the back. When homeschooling demands a field trip to the ocean, it’s best to seal the iPad with a waterproof case to prevent it from wearing out. 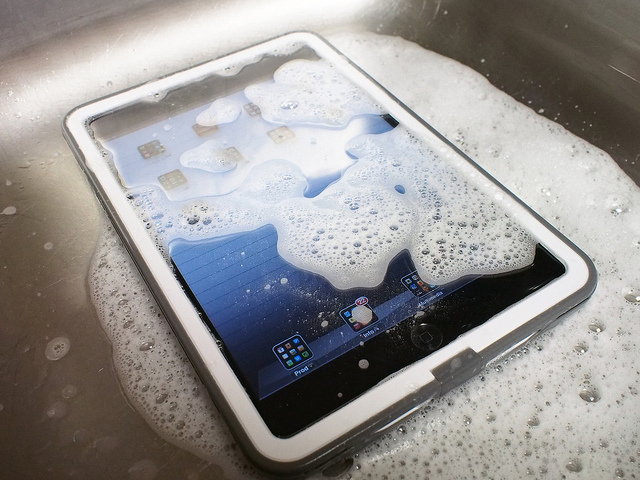 The LifeProof Waterproof iPad Nuud Case  is an amazing accessory because it seals the iPad completely. It comes with Nuud’s naked screen technology, which inhibits air gap to interfere with the touch navigation. The Apple TV is a great accessory for homeschool teachers who don’t want to tether their tablet like a traditional school projector or podium. 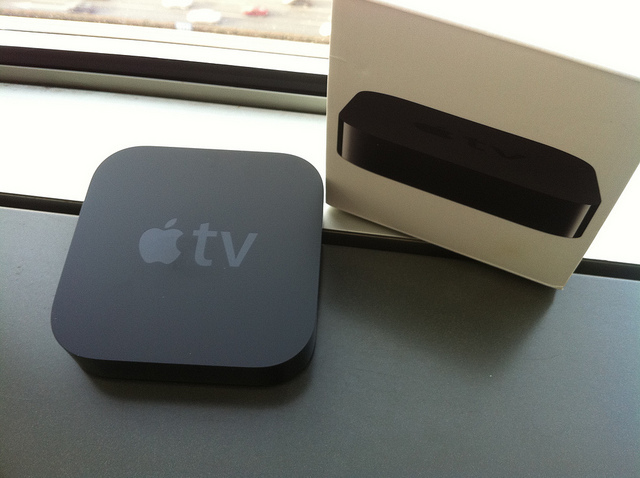 It is a digital media receiver that delivers lectures and presentations wirelessly with the help of the AirPlay feature. This medium comes in handy when you conduct film viewings, stream podcasts, and watch documentaries to more than two kids at home. 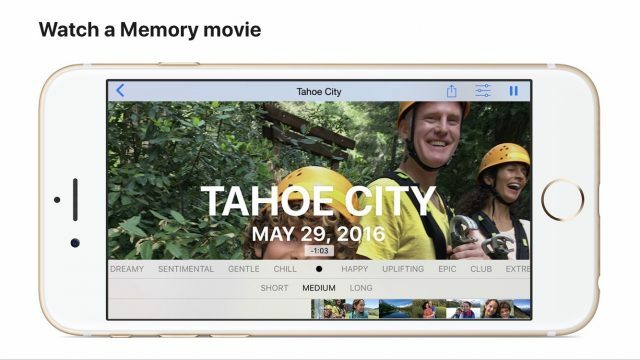 Don’t be fooled by Apple TV’s single core A5 chip. 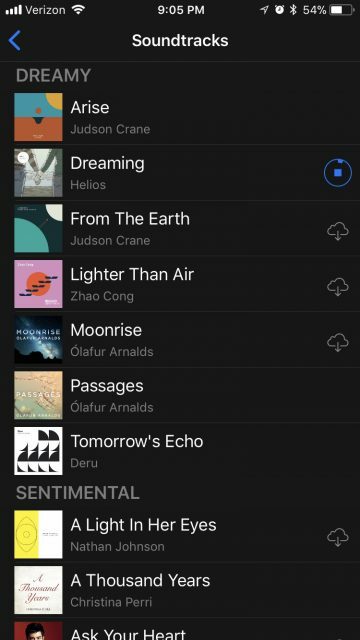 Even though it lacks in speed compared to the ultrafast processing power of newer smartgadgets such as Apple’s very own iPhone 6 or competitor Samsung’s Galaxy Note 4’s, Apple TV can still deliver a seamless and high-quality streaming. Even the most tech-savvy teachers find it troublesome to type on a touchscreen for long periods of time. 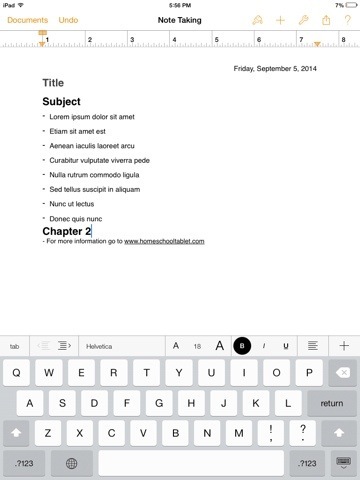 Hence, our list would not be complete without an external keyboard to go along with the iPad. 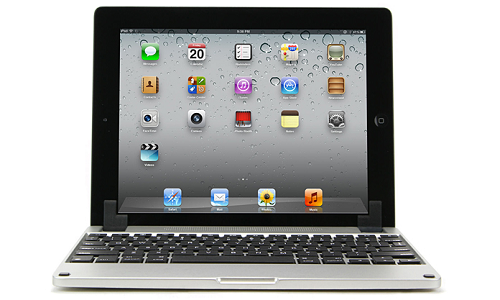 Perhaps the best keyboard to use is the Brydge iPad Keyboard with Speakers, which makes iPads look like laptops. The keyboard is finished with a matte coating, wherein two rubber bumpers are mounted on the front to prevent the screen to interact with the keys. The rubber feet at the bottom are an essential feature, preventing the tablet from sliding off the keyboard while resting on a flat surface. If you want to dedicate a certain part of the house as a “Virtual Learning Corner,” you can place your iPad on that space and snap it with the Magnetic MiStand. According to  Cult of Mac, the tablet stand employs a magnetic ball to hold the iPad in place. You can allow kids to go to the corner in groups of three or four as the stand rotates to any angle, thanks to the ball and socket joint held by magnets. 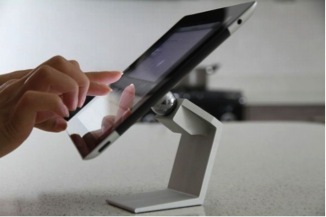 As it uses a nano-suction mechanism, the MiStand becomes applicable to other devices such as the Kindle Fire and Wacom graphic tablets. 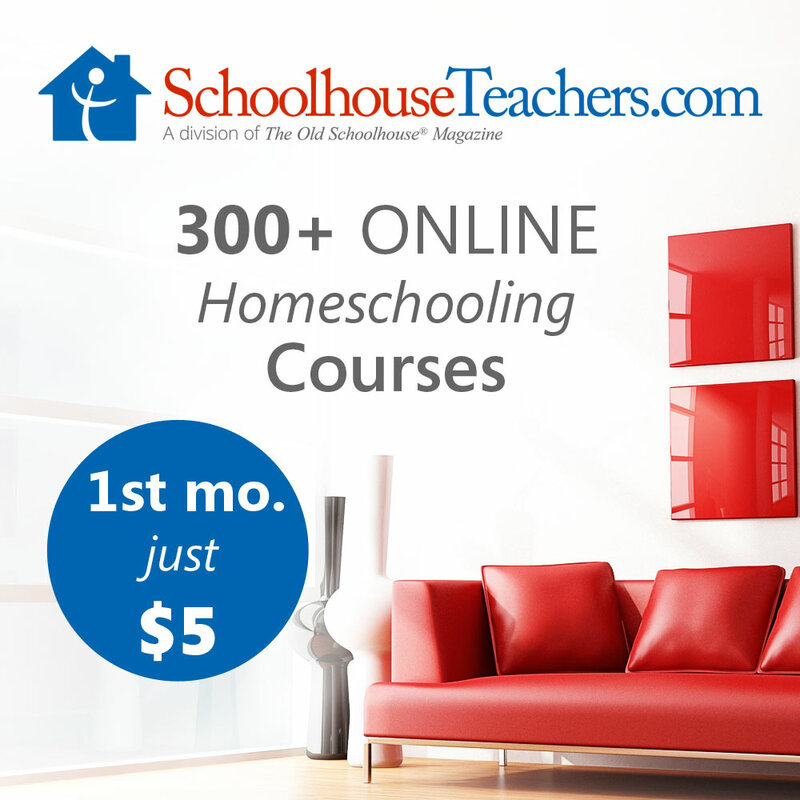 While you need to shell out some money to have these accessories, it can’t be denied the amount of assistance they offer in homeschool learning. 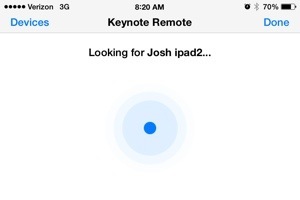 This last weekend I had to give a talk and unfortunately my printer refused to print! My next option was to use my iPad. 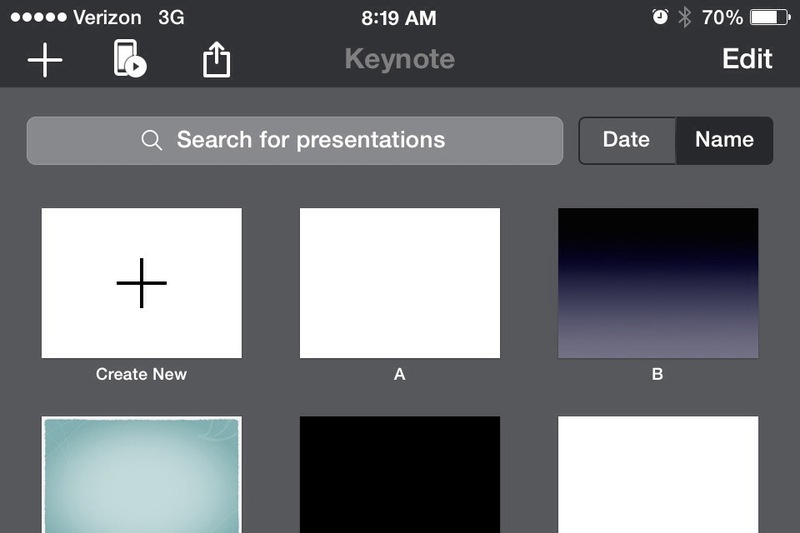 I really did not want to use Pages on my iPad for my talk so I discovered that you can export a documents right from Pages into iBook! 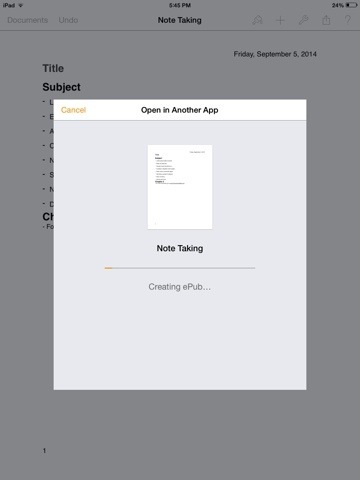 (With one small intermediate step) Once my document was in iBooks it was easy to increase the font size. 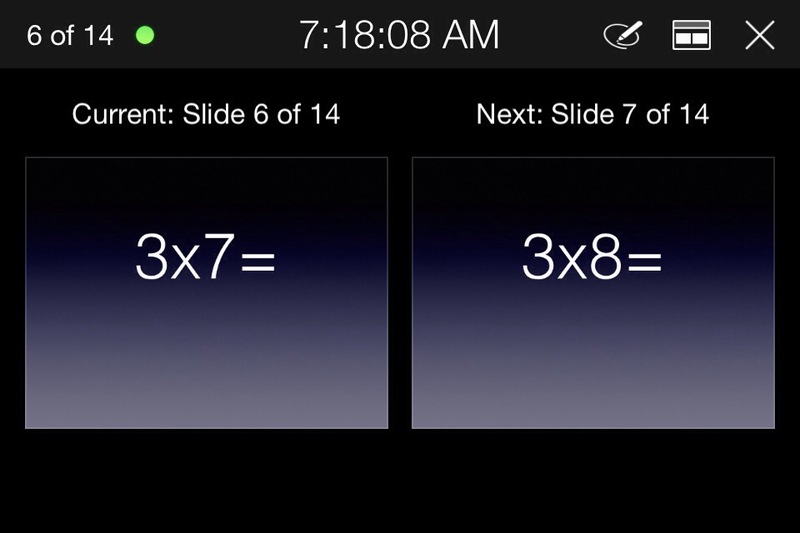 This made reading my notes was easy on the iPad. 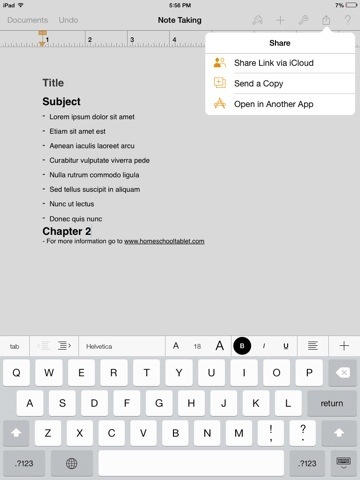 Before exporting to iBooks, I would recommend adding chapter headings to your document. I just used heading 1 and titled it Chapter 1. I added three chapters. 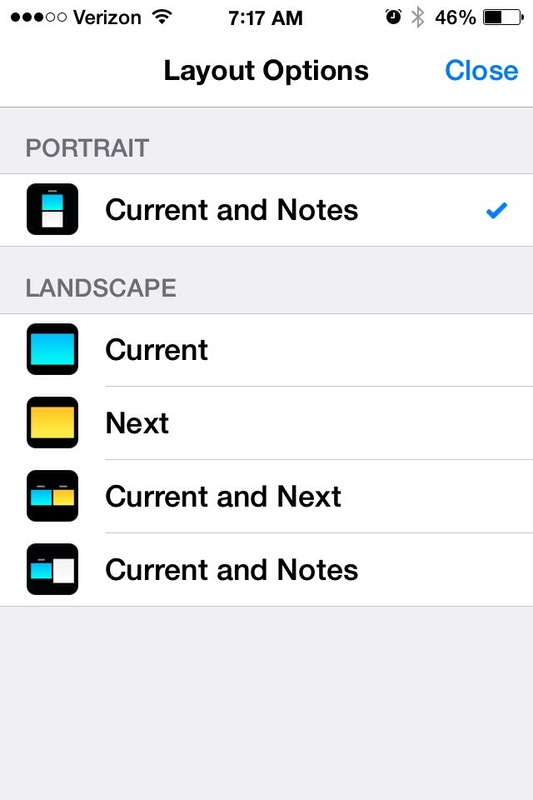 Once you have the document finished you can export to another App. 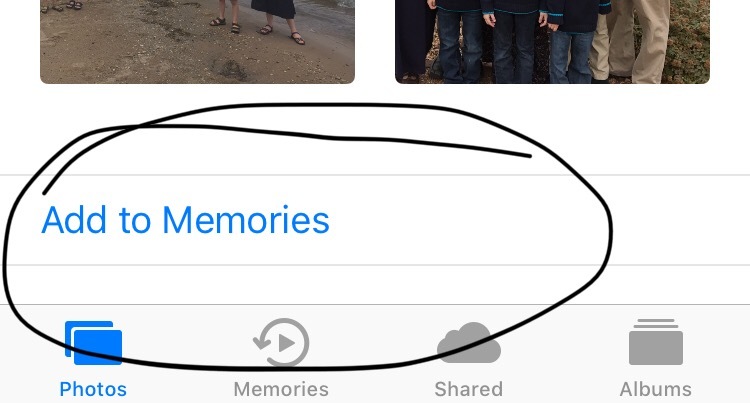 Select the box with the arrow pointing up located in the upper right side of the screen as shown below. 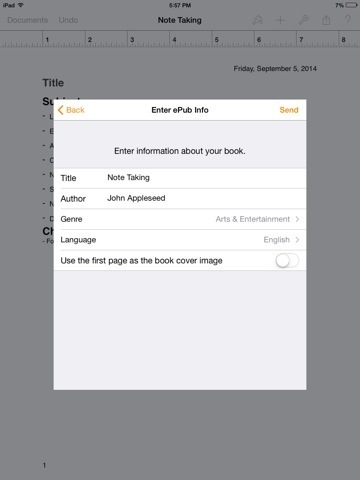 Choose ePub format for iBooks. 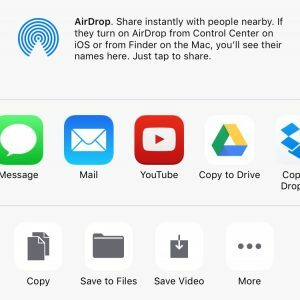 You are then offered several different format options. 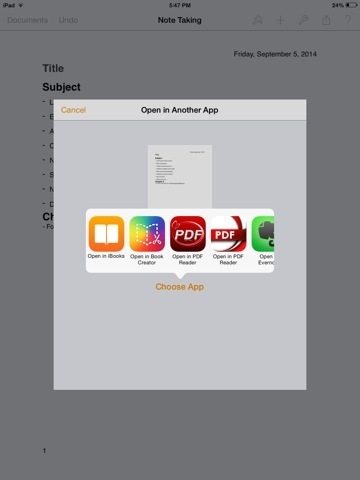 You can either convert the document to PDF or ePub for iBooks. I chose ePub since it allows you to increase or decrease the font size and it also allows for headings. You will then need to enter some information about your document. 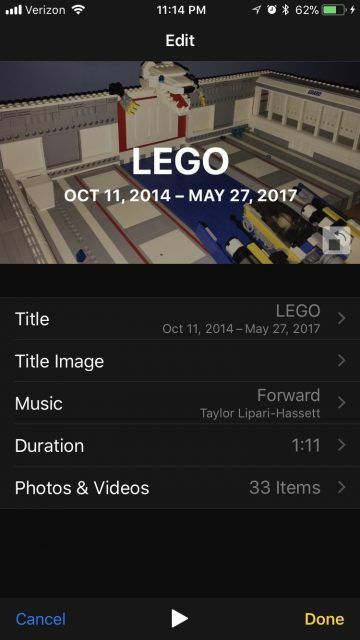 Important: Make sure that the option “Use the first page as the book cover image” is not selected! 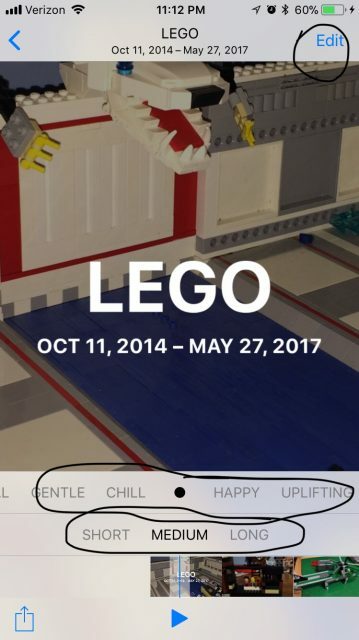 I accidentally selected this and found out that it makes the first page unreadable because you only see the first page when you look at the bookshelf. 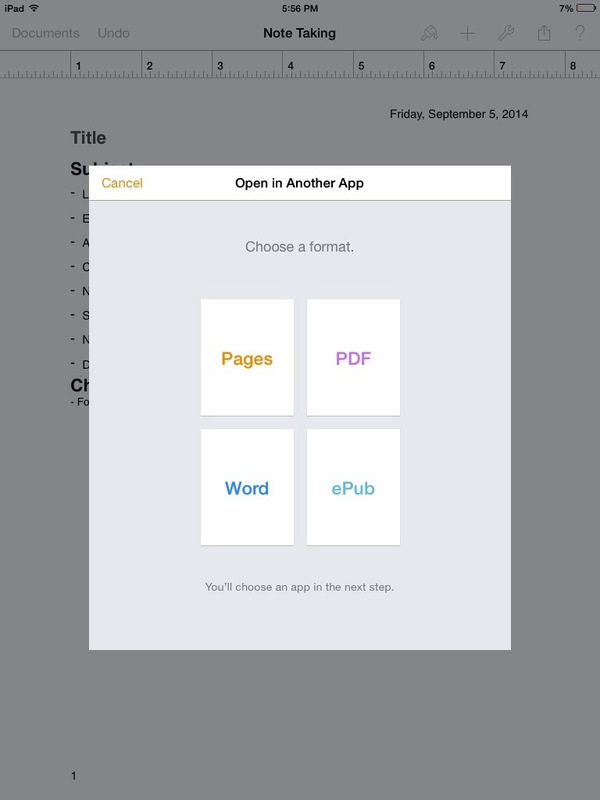 Your document will now be converted tot he ePub format which can be opened in iBooks. Make sure you do not include important information in the header and footer since they are removed when Pages creates a ePub file. Select iBooks to open your Pages document in iBook. 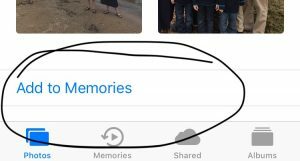 Once opened the document is then saved to your iBooks bookshelf. 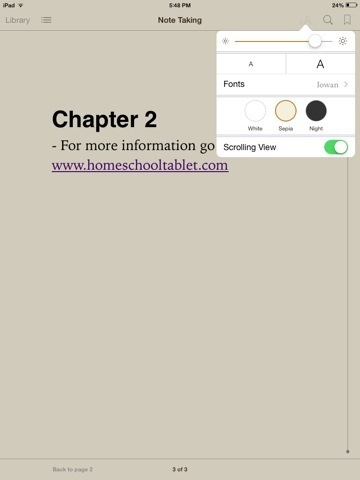 Now you have a simple ePub book that can be read in iBooks. 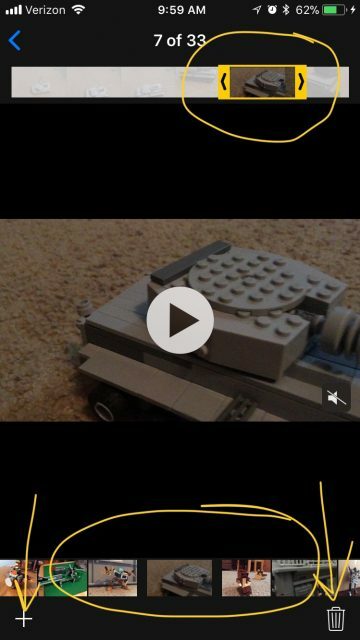 One of my favorite Phonics apps is the Reading Raven app. 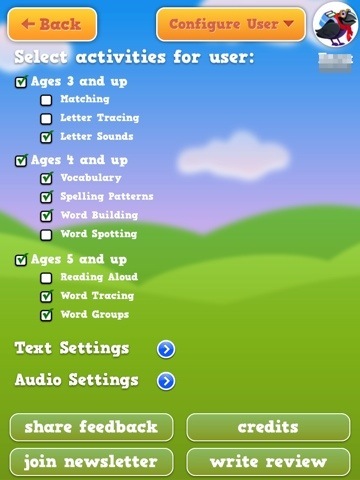 Now that my son has progressed in his reading and phonics skills I was thrilled to find the Reading Raven Vol 2 HD app. This extends the Reading Raven path to a higher level that is a little more advanced than the first Reading Raven app. Reading Raven Volume 2 HD continues the Reading Raven series of superbly engaging learn-to-read games. Your child is ready to move on to Volume 2, if he or she can read or sound out simple words that follow the consonant-vowel-consonant pattern. If you are familiar with the first Reading Raven App then you will notice that the games and formats are similar but harder then the original reading raven app. 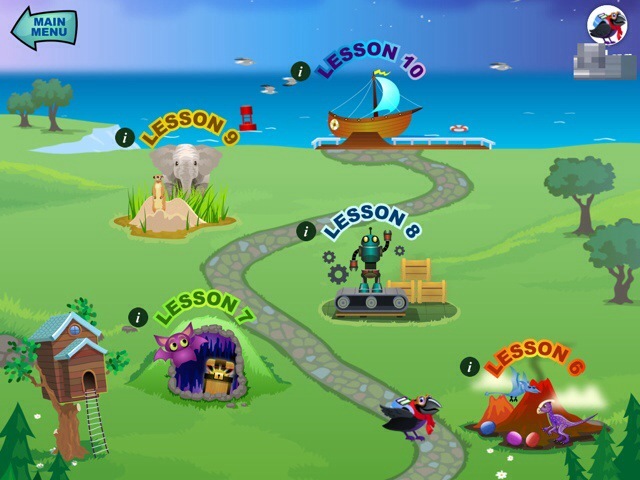 If you are looking for an App that is not just a games but also enforces Phonics then consider the Reading Raven apps.